I love these Zucchini, Cheddar & Quinoa Muffins! Sometimes when I bite into an oversweet breakfast muffin, I often find myself wishing for a savory version instead. Thanks to the persistence of our wonderful recipe maven Mariko Makino, my wish has come tastily true. 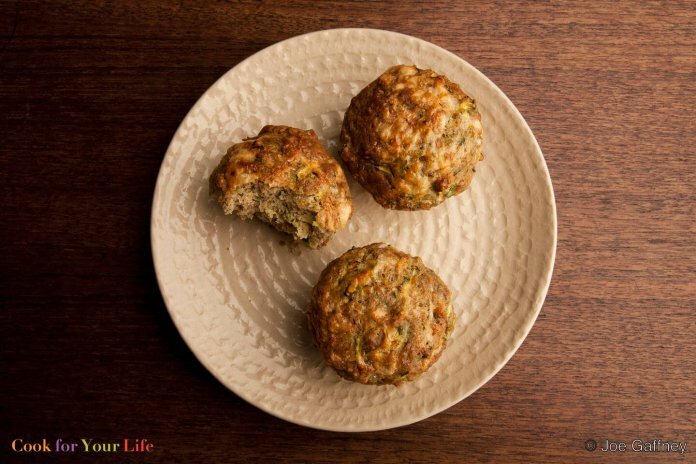 These nutritious little Zucchini, Cheddar & Quinoa Muffins are a perfect lunchtime snack when fatigue leaves you without the energy to rustle up a sandwich. Eaten with a piece of fruit, you have the perfect, hassle-free, cancer-fighting small meal. 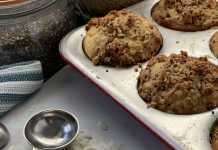 These muffins freeze well too, so they can be made ahead of time and either popped into the microwave or defrosted overnight in the fridge. They also make a tasty addition to a lunch box. This recipe makes 12-14 muffins. 2. In a medium bowl, whisk or sift together the whole wheat pastry flour, baking powder, baking soda, ground cumin, salt, and black pepper. 3. 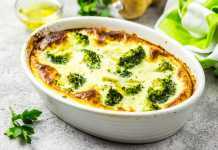 In a separate large bowl, with a wooden spoon combine the cooked quinoa, eggs, olive oil, and Greek yogurt. Gently stir in the dry ingredients, mixing just until combined. Fold in the grated zucchini, chopped arugula, cilantro, 3/4 cup of the cheddar, and the Parmesan. Mix just until well mixed. 4. Fill muffin cups almost until full, then sprinkle with the remaining grated Cheddar. Bake for 22 to 25 minutes, or until very well browned and puffy. Let cool in muffin tins for 10 minutes, then transfer to a wire rack. If you cannot find whole wheat pastry flour, then substitute it with a mix of half stone ground whole wheat flour, and half all-purpose flour.